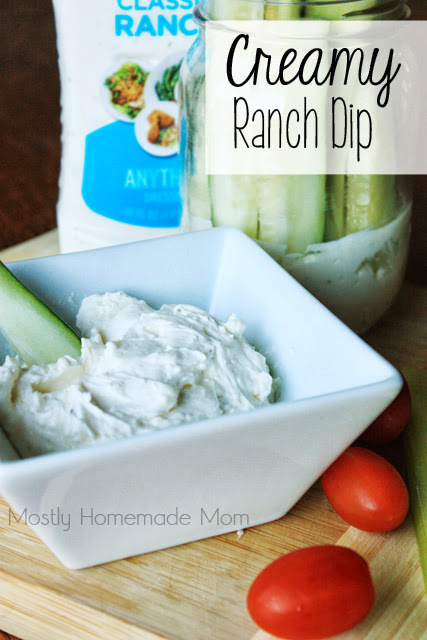 You are here: Home / Uncategorized / Creamy Ranch Dip with Kraft and Dollar General! 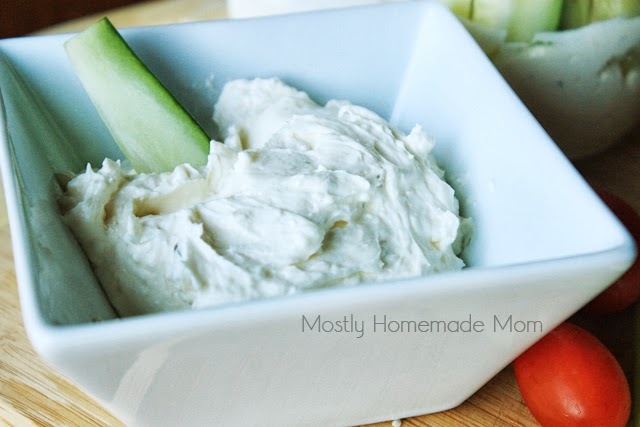 This creamy ranch dip with get ANY kid to eat their veggies! YUM – how creamy and delicious does that dip look?! Doesn’t it just make you want to dive into it with some fresh cold veggies? It’s such a great lunchbox idea! 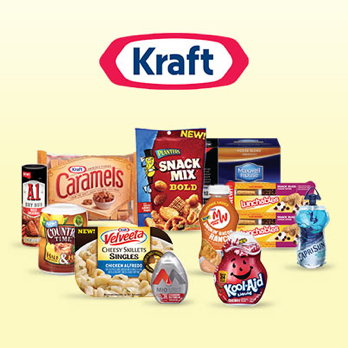 I found the recipe on KRAFT products at Dollar General‘s site, just click the link and scroll down on the left. There’s lot of other yummy recipes there, too! Speaking of back to school, I firmly believe that end of August/September is one of the most difficult times of the year for families! And I’m not just talking with school age kids – our two kids are 4 and under and yet the four of us all going different directions each morning. Don’t get me wrong, I’m really excited that the kids are getting older and ready to experience school and play time with other kids their age. Heck, I need the break! I’m TOTALLY a routine person so it’s just a matter of finding the new routine. And definitely one of those routines is preparing lunches for the four of us. I’m determined to save money by clipping coupons, watching sales, and making things homemade as much as possible. 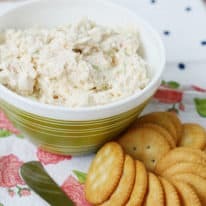 You HAVE to try this dip though, it’s super easy and I love that because it’s thick and creamy, it won’t slosh around in the lunch boxes and make a mess. Easy and less messy – I love it! 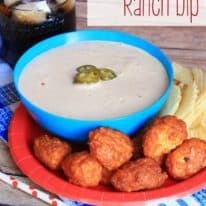 Don’t miss another Semi Homemade Mom recipe! Click here to have recipes delivered by email. 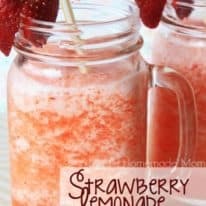 Strawberry Lemonade Slurpee with Kraft & Dollar General! Hi my loved one! I wѕh too say that this pօst is amazing, great writte and include almost all vital infos. ӏ'd lіke to look moгe posts like this . read articles from other writers and practice a little something from their sites.